From island-hopping to nighttime shopping, Hong Kong offers an amazing array of activities for tourists and locals alike. 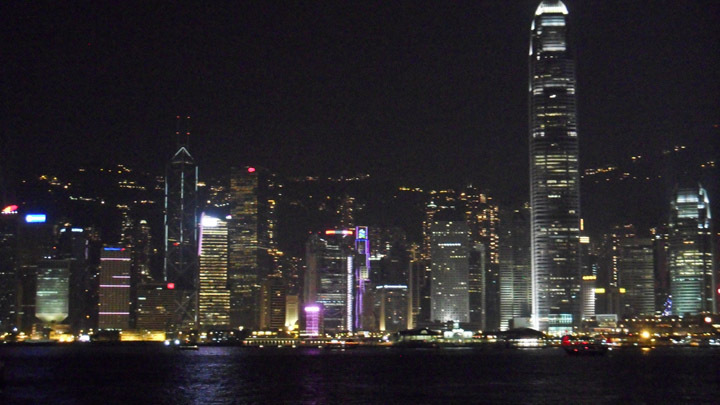 We’ve created a list of the top four highlights of this island metropolis for future Hong Kong hustlers. Victoria Harbor is beautiful both during the day and night, offering a full day’s worth of tourist activities near the South China Sea. Victoria Harbor, with the surrounding Victoria Peak and Avenue of Stars, is one of the top tourist attractions in Hong Kong. It’s well-known for its stunning skyline, popular promenades and splendid shows, including an annual fireworks display and a nightly “Symphony of Lights” light show that takes place on the actual skyscrapers themselves. Take a tram to Victoria Peak for a perfect panorama of the Harbor, set sail on a Star Ferry to experience the waves of the sea, parade around the promenades, and walk around the waterfront to amble along the Avenue of Stars, Hong Kong’s answer to the Hollywood Walk of Fame. You can take pictures with the handprints of Hong Kong film industry celebrities and even stick your face in a film reel! 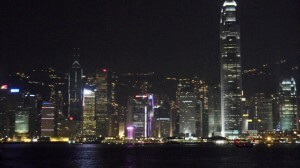 The multicolored lights add to the sightseeing splendor, and make Victoria Harbor a memorable must-do. Lamma Island, Hong Kong’s third largest island, is a peaceful escape from the hustle and bustle of city life. Twenty-five minutes via ferry from central Hong Kong, you will set foot on Lamma soil, trading skyscrapers for serenity, frenzy for fishermen, and traffic for trails. The people of Lamma Island get around by foot or bicycle, so you’ll be leaving the Hong Kong horn-honking behind and saying hello to the hippies of this lovely landscape. 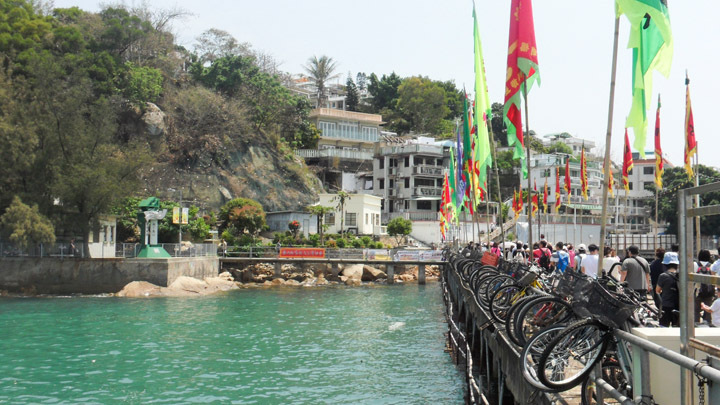 Popular among the artist community with its natural scenery and few buildings, Lamma Island offers a picturesque place to enjoy hiking and biking trails, beaches to relax and lay in the sun, and fresh seafood. Lamma Island was a personal highlight for us, where we spent the whole day basking in the sunshine, hiking (and panting) up a monstrous hill, exploring dark caverns and taking advantage of the beautiful background by snapping photo after photo. We passed by bushes of blossoms, scary sea creatures trapped in tanks (we swear we saw a real-life Pokémon) and vibrant views, and can attest that venturing to Lamma Island for the day is an experience that can’t be missed, especially for if you’re seeking something different from Hong Kong city. Temple Street night market in Kowloon is by far one of the best after-dark activities tourists can take part in. Anticipation builds as visitors disembark at the Jordan or Yau Ma Tei subway stops and walk a few blocks to the gates of Temple Street, where fun, frenzy and fighting for fair prices make this night market come alive. The sea of hundreds of stalls and colorful, flashing lights create an atmosphere so bright and vivid, that forgetting about this nifty place will be nearly impossible! From hot pots to haggling, fortune tellers to fabulous finds, and cheap street food to even cheaper souvenirs, this stellar shopping spot is quite a scene; one you’ll want to relive over and over again! Lantau Island is quite curiously almost double the size of Hong Kong Island itself. Lantau Island is not only home to Hong Kong International Airport and Hong Kong Disneyland, but two of its most popular attractions, Ngong Ping 360 and Tai O fishing village. Ngong Ping 360 is a relatively new development, and features the Ngong Ping Cable Car, Ngong Ping Village, and the Tian Tan Buddha Statue (commonly nicknamed the Big Buddha). When buying your tickets for the Cable Car, you have the option to purchase a standard cabin or a crystal cabin for a bit of an extra cost. The crystal cabins contain glass bottoms, so the 5.7 km, twenty-five minute ride truly becomes a 360 degree experience if one chooses this option. Once you reach the plateau, you can walk around the village with shops, eateries, sculptures displaying cultural themes, souvenir stands, and the Po Lin Monastery. Walking farther into the village, you will come across a cable car display, with several cable cars painted to look like flags of the world, representing which countries have the highest Buddhist population. 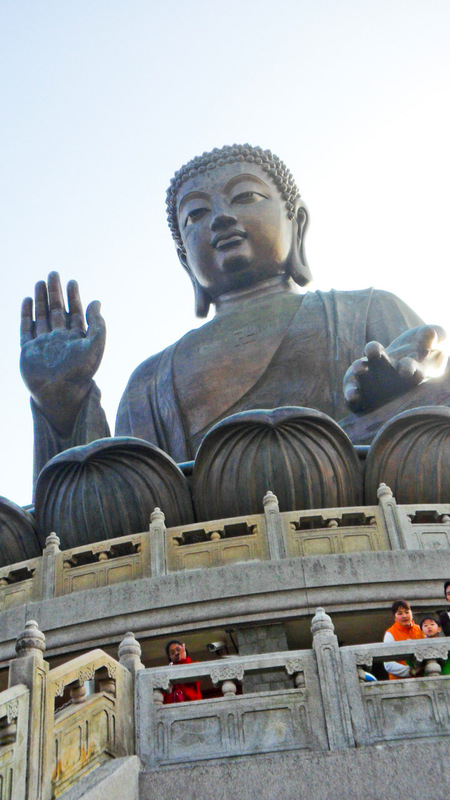 You will also be greeted by the 85 foot tall, bronze Big Buddha himself, and the countless stairs that lead up to this supersized statue. Both the view and photo ops are fantastic, so visiting Ngong Ping 360 is definitely not a disappointment. Tai O, on the other hand, is a truly unique experience, showing a completely different side of Hong Kong. Tai O is a famous fishing village that has been in existence for over three centuries, and is known for its hundreds of interesting stilt houses, waterways, picturesque fishing boats and boasts traditional Chinese food such as salted fish. Besides the splendid scenery, another draw of Tai O fishing village is the opportunity to take a boat tour out to sea to try and catch a glimpse of the elusive Chinese white dolphins, often called pink dolphins. Tai O is absolutely worth the trip, and both Tai O and Ngong Ping 360 help Lantau Island leap to the top of a tourist’s must-see list. Hong Kong is a marvelous metropolis that offers awesome activities to satisfy any traveler’s tastes, and is a bold balance between traditional Chinese culture and urban, modern-day city. We really enjoyed our time in Hong Kong and hope to return one day for another Hong Kong hustle. Chantal and Carolyn Moclair are identical twin sisters with a great love of travel! They were bitten by the travel bug at the early age of three months old while in Brazil for their first trip abroad. Twenty two years later, they’ve traveled to 40 different countries with no plans of stopping. Recently graduated from the University of Guelph in Ontario, Canada with an undergraduate degree in Honors Sociology and a minor in Criminal Justice and Public Policy, they will soon be embarking on another adventure: Completing a year-long Master’s Degree in Publishing at Kingston University in London, England. They both have big plans for the future, hoping to embark on a Lost Girls journey of their own one day. Follow them on twitter @MoclairTwins. Hi, I’m a 20 year old woman and am wanting to travel in Hong Kong this year from July to August for about 2 weeks… I’m concerned of how safe it would be for me as I’m travelling alone? How could I find other travellers doing the same thing? You’re actually a superior site owner. The internet site launching acceleration is actually remarkable. It kind of feels that you’re performing any special strategy. Furthermore, The particular subject matter are masterwork. you may have done an amazing task about this topic! Anyway I’ll be subscribing to your feeds or even I success you get right of entry to consistently rapidly.